The RAM-A-238U 2.43" Diamond Base with 0.5" Ball has one 0.56" diameter ball attached to a 2.4" diamond base with holes that match the AMPS hole pattern. 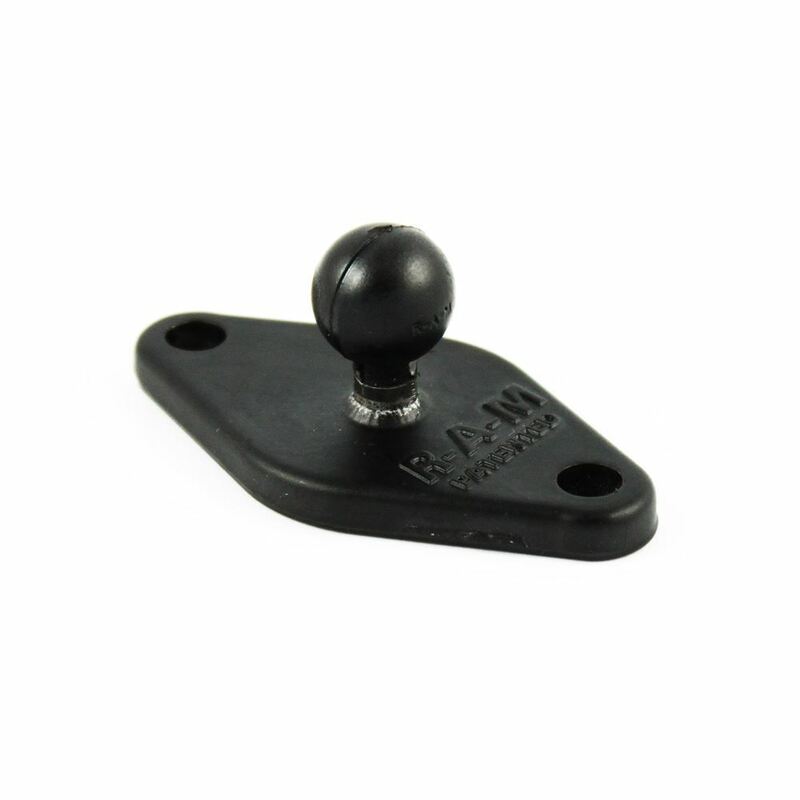 The RAM-A-238U RAM 2.43" Diamond Base w/ 0.5" Ball from the RAM Mount Bases range is made of a 0.56” diameter rubber ball that is joined at right angles to a diamond base, sized 2.43” x 1.31”. This diamond base is built with a pair of holes 1.912” from each other, allowing compatibility with the standard AMPS hole design. It can be connected to most mounts available on the market.